The future of mobility is green and BW Plus Hotel Expo supports and encourages “0 impact” travelers! 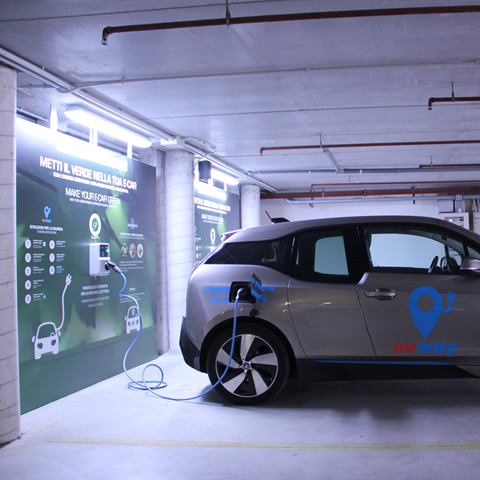 We provide our customers with 2 charging stations for electric cars (e-cars) and the energy we supply is 100% green and certified by our energy partner: Global Power. Book and recharge for free! Just 15 minutes from Verona and Lake Garda, Hotel Expo welcomes you in its refined rooms & suites, pampering you in the SPA Divinae and reserving the possibility to recharge your electric car in its monitored video parking. EVWAY to recharge your e-Car! Displays the status of the connector, the type of socket, the charging speed and the structure information. 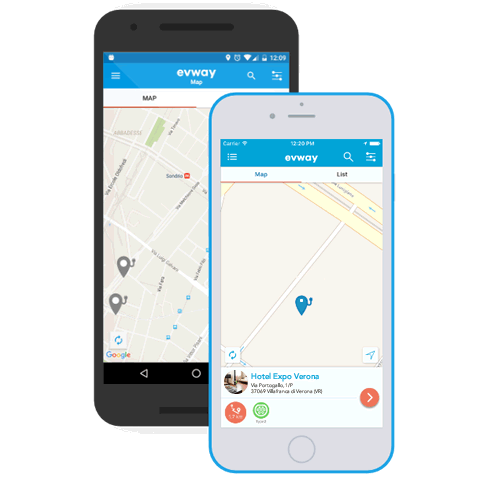 Download EVWAY, select our hotel and activate the reload quickly and easily, paying by credit card or Paypal.